Near Constantinople there lived a man who knew no other occupation but that of catching birds; his neighbours called him the birdcatcher. Some he used to sell, others served him for food, and thus he maintained himself. One day he caught a crow, and wanted to let it go, but then he had nothing to take home. ‘If I can’t catch anything to-day, I’ll take my children the crow, that they may amuse themselves; and they have no other birds at hand.’ So he intended, and so he did. His wife, on seeing the crow, said: ‘What mischief have you brought me? Wring the worthless thing’s neck!’ The crow, on hearing that sentence, besought the birdcatcher to let her go, and promised to be always at his service. ‘I will bring birds to you; through me you will become prosperous.’ ‘Even if you’re lying, it’s no great loss,’ said the birdcatcher to himself, and set the crow at liberty. On the morrow the birdcatcher went out birdcatching as usual, and the crow kept her word; she brought him two nightingales; he caught them both, and took them home. The nightingales were not long with the birdcatcher, for the grand vizier heard of them, sent for the birdcatcher, took the two nightingales from him, and placed them in the new mosque. The nightingales were able to sing sweetly and agreeably; the people collected in front of the mosque and listened to their beautiful singing; and the wonder came to the ears of the emperor. The emperor summoned the grand vizier, took the birds from him, and inquired whence he had got them. When the emperor had thought the matter over, he sent his cavasses, and they summoned the birdcatcher. ‘It’s no joke to go before the emperor! I know why he summons me; no half torture will be mine. I am guilty of nothing, I owe nothing; but the emperor’s will, that’s my crime!’ said the birdcatcher, and went into the emperor’s presence all pale with fear. 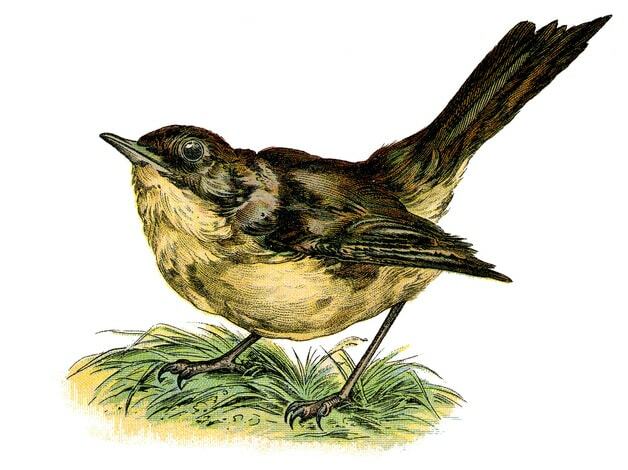 Vintage illustration of a nightingale. 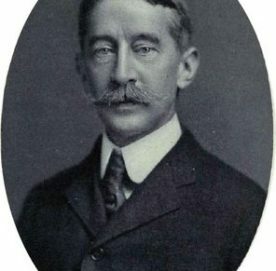 Circa 1890’s. As the crow instructed him, so he did. The emperor gave him the corn; he feasted the birds, caught the mother of the nightingales, and took her to the emperor. He received a handsome reward, but he would gladly have gone without such reward when he remembered how many tears he had shed. The crow, too, received a reward, for she persuaded the birdcatcher to give his wife a good beating, which he did, to the satisfaction of the crow, in her presence. On arriving at home he found his crow at the window: ‘Has some misfortune again occurred to you?’ ‘Don’t ask,’ replied the birdcatcher; ‘one still blacker and more miserable!’ and told her all in detail, what it was and how it was. ‘Don’t trouble your head much about that,’ said the crow. ‘Be quick; ask the emperor for a boat full of all manner of wares. Then we will push off on the deep sea; when people hear that the emperor’s agent is bringing wares, the people will assemble, and that lady is sure to come; the one on which I perch is she; up anchor and off with the boat!’ This the birdcatcher remembered well. What he asked of the emperor, that he gave him, and he pushed the boat over the sea; his bringing wares for sale went from mouth to mouth; people came and purchased the wares. The birdcatcher was again in evil case. The new sultana was in a perpetual state of irritation, for it was poor luck to be obliged to be affectionate to an elderly longbeard. The emperor comforted her, and asked her what failed her, when she had everything in abundance with him. A woman’s revenge is worse than a cat’s. Not daring to tell the emperor the truth, she wanted to revenge herself on the poor birdcatcher. ‘Dear Padishah, I had a valuable ring on my hand when that birdcatcher deluded me into the boat, and pushed it from the shore. I began to wring my hands in distress, the ring broke, and one half fell into the sea, just where it was my hap to be. But, dear sultan, if I am a little dear to you, send that birdcatcher, let him seek that half for me, that I may unite it to this one.’ ‘All shall be done,’ said the emperor; and the cavasses soon brought the birdcatcher. ‘My son,’ said the emperor, ‘if you do not intend to lose my love and favour, hearken to me once more. At the place where you captured that lady, she broke a ring; it fell into the sea. I know that you can do so–find her that half; your reward will not fail; otherwise, you know . . . .’ When the poor fellow got home, a fit of laughter seized him from distress. ‘I knew that the devil was teaching him how to torment and torture me before he put me to death. If hell were to open, all the devils wouldn’t find it!’ ‘What’s the matter, friend?’ said the crow. ‘Till now you were weeping and complaining, and now in a rage you are laughing.’ He told her all–what it was, and how it was. ‘Don’t fret yourself,’ continued the crow. ‘Have you given your wife a good thrashing? I wish you to give her a good hiding again, when we go down to the sea. And now come, ask the emperor for a thousand barrels of oil.’ The emperor had stores of oil and felt; he gave him as much as he required. Everybody thought that he was going to trade with the oil. When he arrived at the place where he captured the young lady, the crow gave the word of command, and they poured out all the oil into the sea. The sea became violently agitated, the crow darted in, and found the missing fragment of the ring. The bird-catcher took the boat back thence under the emperor’s palace, and delivered the ring to the emperor, he passed it on to the lady, and she fitted it to the other half. Both she and the emperor were astonished at the birdcatcher’s cleverness, commended him, and sent him home with a present. He went home, and the crow came to meet him. He told her all that was to be done with him in the afternoon, and said to her: If you do not help me as usual now, I am done for, not through my fault, nor through the emperor’s, but owing to you.’ The crow informed him what to do, but before he went, he was to give his wife a thoroughly good beating. His wife departed this life from so many blows. A fire was flaming before the great mosque, the Turks came out of the mosque, the emperor came, the people swarmed round the fire The birdcatcher came cheerfully before the emperor. Friday dawned; the emperor’s best horse was saddled for him; everybody thought that he was going to the mosque. A fire was burning furiously in front of the mosque. The people said: ‘There’s somebody going to jump in again,’ and they were under no delusion. The emperor darted up to the fire all alone, the people looked on to see what was going to happen. The emperor dismounted with great speed, and sprang into the fire. . . . The people crowded to rescue the emperor–’twas all in vain. The emperor was burned to death. ‘He was crazy!’ shouted the chief men and soldiers. They conducted the birdcatcher into the mosque, and girt him with the emperor’s sword. Then the birdcatcher became emperor, the damsel he selected sultana, and the crow the chief lady at court.